Thursday, August 1st, 2013, 7 p.m. The Last Policeman made quite a splash last year, impressing critics and readers and getting nominated for winning an Edgar Award. A pre-apocalyptic police procedural set in our own fair city 6 months before an asteroid is scheduled to impact the Earth, readers followed the investigation of Detective Hank Palace as he gumshoed around Concord, NH trying to solve a murder nobody else cared about as society broke down in panic. 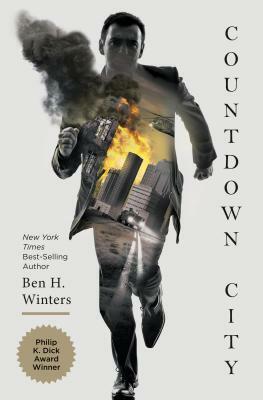 We're thrilled to bring Ben H. Winters to the setting of his New York Times best-selling trilogy, as he presents the further adventures of Detective Palace in Countdown City.